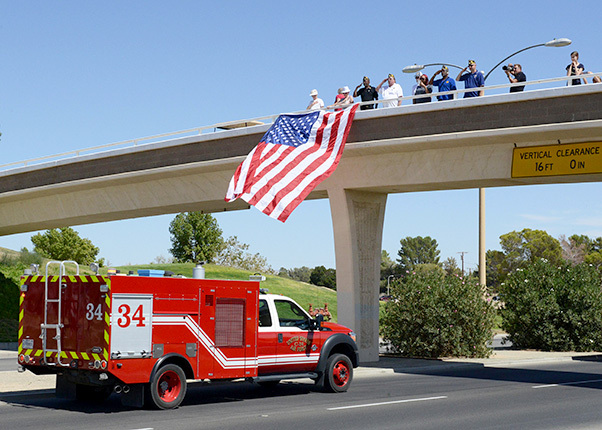 An Edwards Air Force Base Fire Department truck approaches an overpass on California City Blvd. during a memorial procession Sept. 19, 2016. About 120 representatives from agencies across California participated to show support for fallen K-9 officer Ty from the California City Police Department. 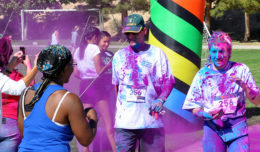 A memorial service was held at the Strata Center in California City’s Central Park for Ty, who died Sept. 7 while undergoing a procedure to fix his already surgically repaired back. 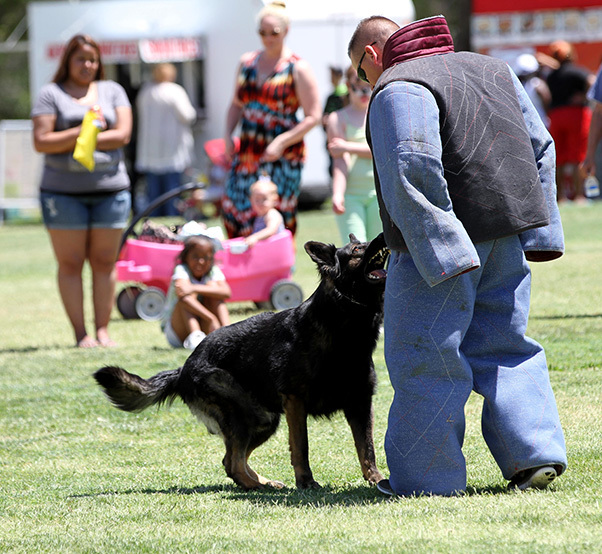 Ty was injured when trying to subdue a suspect last month in California City. About 120 representatives from agencies across California participated to show support for fallen K-9 officer Ty from the California City Police Department. 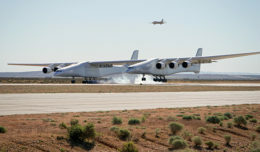 Edwards has mutual aid agreements with California City law enforcement and emergency responders, which creates a close working relationship with the city that is home to many base workers and is just 20 minutes north of the installation. Representatives from law enforcement agencies came from as far as San Luis Obispo from the north and Coronado from the south. 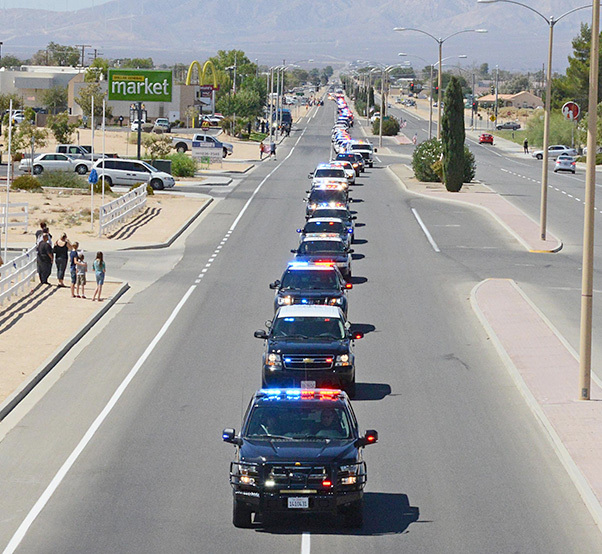 About 120 vehicles participated in the memorial procession that began at the west end of California City Blvd., which made its way through town to the park.